Olive Us Denissimo Dark Balsamic is thick, rich and simply decadent! Barrel aged up to 25 years, this dark balsamic is lovely to drizzle or dip! 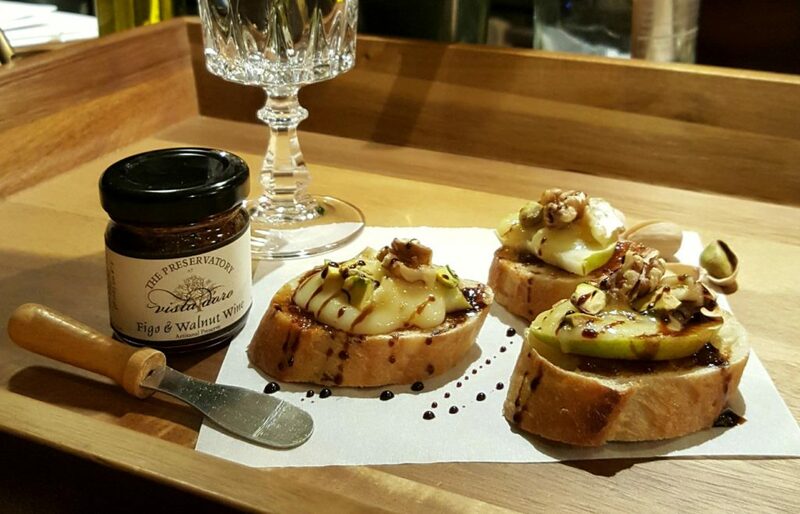 Make this elegant starter with a spread of Fig & Walnut Wine preserves on slices of fresh baguette, sliced pear, warm Camembert or Brie, sprinkled with walnuts & pistachios… topped with a drizzle of Denissimo Aged Balsamic from Olive Us Oil & Vinegar Tasting Room! So easy to adapt and enjoy with many gorgeous ingredients including a great selection of preserves made by The Preservatory and available at Olive Us!